The founder of Krav Maga, Imi Lichtenfeld was born in Budapest, Hungary on 26th May 1910 and later his family moved to Bratislava, Slovakia. From his early ages he was involved in different sports such as wrestling, boxing and gymnastics in which he became an International champion in 1929. Till 1939 he was a member of the Slovakian Wrestling Team and was considered one of the top Europeans in his weight division. In the mid-thirties fascist and anti-Semitic movements rose across Europe. Imi and his friends from different disciplines formed a group to protect the Jewish quarter. Over the next few years in the fights against these gangs the seeds of Krav Maga were planted. Imi left the Nazi led Europe in 1940. 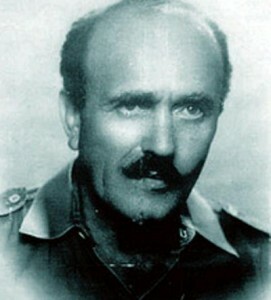 His escape to Palestine (later Israel) took him almost two years where he joined the Hagana resistance. He started to teach hand-to-hand combat initially to members of his group then to several elite units (Hagana, Palmach, Palyam) and to police officers. In 1948 the IDF was formed and Imi became the Chief Instructor for Physical Fitness and Krav Maga at the School Of Combat Fitness. He spent about twenty years in the IDF (and the resistance).During this time developed and refined his system in which he personally trained the top fighters of Israel`s special units and qualified generations of Krav Maga instructors. For this he gained the recognition of Israel`s most senior commanders. It was important that the system had to meet the varied needs of the IDF. It had to be easy to learn, apply and retain from clerk to special commando units. It had to have the ability of maintaining the soldier`s proficiency with minimal review and practice. Imi started to adapt the system to civilian needs and spread it to other parts of the world after he retired in 1964. The system has grown, improved and soon moved to all continents. 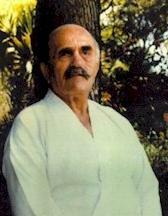 Imi, a most valued teacher and fighter, passed away on the 9th of January 1998, at the age of 88.